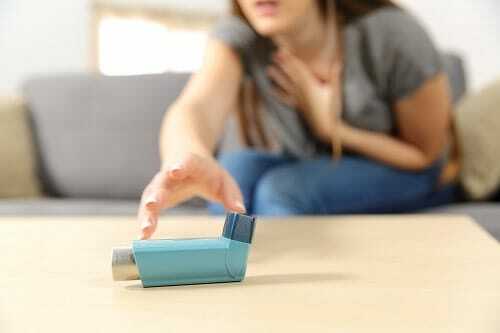 Home » Blog » Does Asthma Affect Dental Health? It’s well known that asthma causes a narrowing of the airways, reduces oxygen flow, and makes it difficult to breathe. It’s a chronic, scary disease that affects the lungs and entire respiratory system. But can it be true that asthma may also affect dental health? The team at our dental office in Madison has the surprising answer in this week’s blog. Tell Your Dentist. Your dentist in Madison will ask about your health history and any medications you’re taking. It’s important to tell them the truth. Many diseases and medicines can affect oral health, not just asthma, and the more your dentist knows the better care they’ll be able to give. Besides following the tips above, you should always brush and floss your teeth regularly. Brushing twice a day and flossing once a day will help keep your mouth protected in between dental appointments. If it’s been longer than six months since you’ve been to the dentist, we welcome you to call our Madison dental office to schedule your appointment today.